At least 10 people were injured on Tuesday in an explosion outside a chamber of commerce building in the southern Turkish city of Antalya. As TV footage showed smoke rising from the remnants of a vehicle in the car park, the local mayor said the blast may not be terror-related and could have been the result of an accident. The building was badly damaged by the blast shortly before 9 o’clock this morning local time. Turkey is on high alert after repeated bombings blamed on ISIL and Kurdish militants. As the cause of this blast is investigated, no one was said to be seriously hurt, with flying glass accounting for the injuries. suffered amid the series of recent bombings and the failed coup in July. 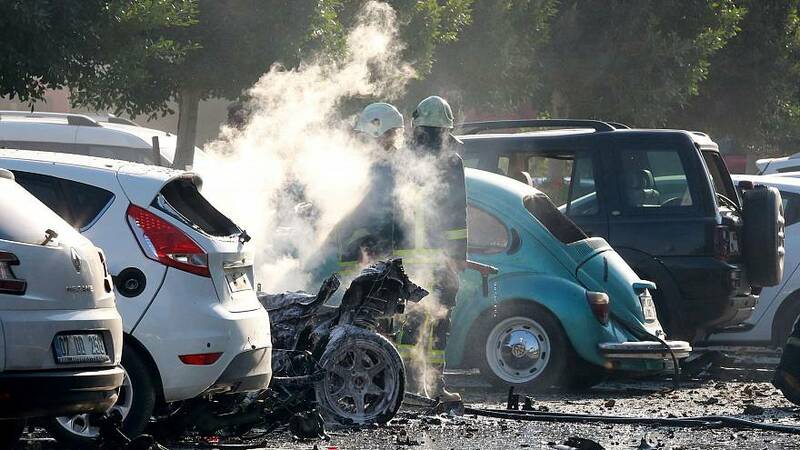 Earlier this month, Antalya province was hit by a a rocket attack although no-one was hurt.